Email your address to wilde@wildeherb.com and when the season provides them we may be able to send you some seeds. I have lots of ground cherry seeds. send me a return email and we can set it up – you can have them right away. Yes! They are delicious and sweet. 🙂 Since we missed them this year we’ll be looking for them next Spring, too. I’ll post here again whenever I can find more. We’re hopeful for next year’s crop so visit back then! “hot air balloon”. Inside the paper shell a small green…looks like..the small tomato grew into a larger tomato and caused the paper shell to break away…..never seen a tomato plant like this….not sure it is a tomato plant. Your plant could be either a ground cherry like you see in this post above or a tomatillo which some call a ‘green tomato’, see this other post: Tomatillos. How big did the tomato get? If it grew larger than an inch in diameter it was a tomatillo for sure. If the fruit was smaller then it could have been a tomatillo or ground cherry. Did you get a lot of fruit? California. Then, lo and behold, last week they were in the market here in Cochabamba, Bolivia!!! Thank you for sharing, can I post it on my Twitter to share to my families? Hey! Glad you found some yummies – aren’t these little weeds tasty? 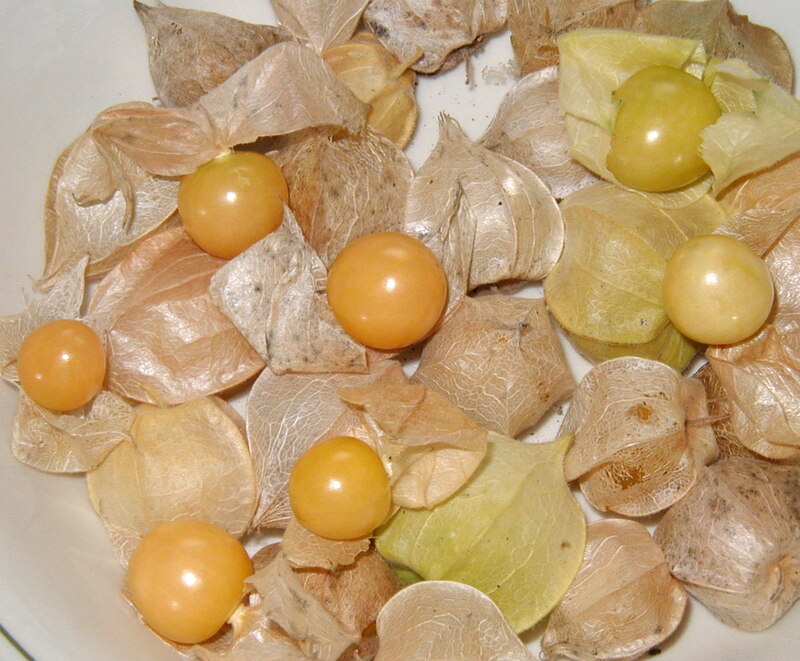 Any of the ground cherries that have turned all yellow are safe to eat. Most of the ripe ones will be on the ground, but some will still cling to the vines when no longer green and ready to eat. I’m curious if you had them planted nearby at one time or if you were just the lucky recipient of a passing bird? At any rate leave some fruit on the ground for next year’s crop! As stated, the easiest way to grow these is to plant a few of the tomatoes in the ground in the fall. Mark the spot with a labelled marker. The emergent plant’s leaves somewhat resemble the quickweed (galinsoga) but the husk tomatoe’s leaves will have flea beetle damage while the galinsoga will not. Once established they will return perpetually. To harvest, just let them fall to the ground and collect them every few days. I put them on a screen in the shade to allow the paper husk to dry before I put them in bowls on our kitchen counter. The fruit lasts for up to 2 months without refrigeration. As they get older in the bowl they get yellower and more intense in flavor. They never really rot. They just shrivel up and dry out. I can agree with the name ‘Pineapple Tomatoes’ as I get a distinct taste of pineapple which others might call a citrus taste. I’m thinking about putting some fruits in the ground at the edge of our woods with a southern exposure. It would be nice to have them established elsewhere instead of taking up so much space in the garden. We saw a squirrel take one from the garden so I’ve wondered if the little guy ate it or planted it like an acorn! Thanks for your comments on the beetle damage to the leaves. It’s always nice to get more information about these tasty treats. I had a piece of pie today made from these tiny yellow tomatoes and it was awesome! I haven’t had the pleasure, Alice. Was it just the husk tomatoes or was another fruit in the pie also? I’ll bet you had it at a friend’s or some out-of-the-way place. These cherry tomatoes are seen in too many markets! 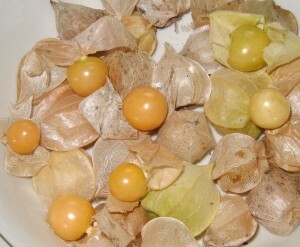 Would like to let all know that we now have Ground Cherry seeds for sale here: Yellow Husk Tomato Seeds For Sale! 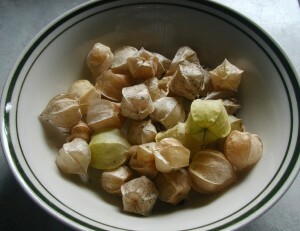 It’s easy to see why the ground cherries are also called pineapple tomatillos. They taste kinda like pineapple and they grow inside husks or papery shells just like the green tomatillos we use to make Salsa Verde. Both are real tasty, too! Tomatillos get a lot larger, but both these tomato relatives like the heat for growing their best. Where can I fined the plant not the seeds in southern N.H. If I were you I’d call around to a few garden centers and ask for the husk tomato plants. You may get lucky and find someone in the know. I personally don’t know where to locate the plants in your area, nor in my area for that matter. If you can’t find a plant, you still have time to plant some seeds. Thank you! I bought some of the tomatoes at a small farm stand in southern Jersey a few years ago and couldn’t remember what they were called. I inquired several places but no success. I appreciate your website and all the info about these delicious little gems. That’s great, Ruth! This is the time of year to look for ground cherries at farmer’s markets. They are dropping their fruit in our garden for a week now and it looks like lots more to come. 🙂 I hope you find some of these gems to enjoy! Hi, I have recently discovered these at a local farm…are there any varieties with … softer seeds? As much as we have been enjoying them…it is like the limited enjoyment of raspberries when you spend so much time picking the tiny seeds out of your teeth and gums… Or, are we getting them late in the process – like cucumbers, do they get tougher as they age? Thanks! Sorry Deb, but I think you’ll have to put up with the hard seeds. The seeds of ground cherries, just like the tomatoes and peppers that we grow in the garden, are mature when the fruit is ripe. That means the seed coat has developed fully to protect the seed and that’s what makes the little buggers so hard on the teeth. The hard seed coat protects the germ of the seed from hazards, like weather and animals, until the conditions are right for the seed to grow. You’re right in that cucumber seeds do get harder as the fruit ages. Their seeds aren’t good for growing when the fruit is ripe as they’re too soft. 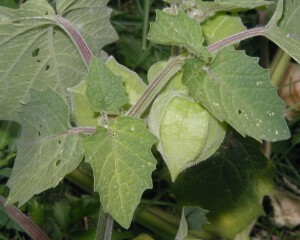 Only after the fruit hangs a while and turns yellow will the cuke seeds become hard enough to keep for future planting. We heard ground tomatoes when green were poisonous.my husband just ate two will be be alright? It’ll be ok. The green ones might give you an upset tummy but that’s about it. Did they taste sweet like the yellow ones do? Let us know! I just discovered this great fruit and would love to grow it on my back yard. where can I get their seeds to plant for next year? I live in New Jersey. We have seeds for ya! 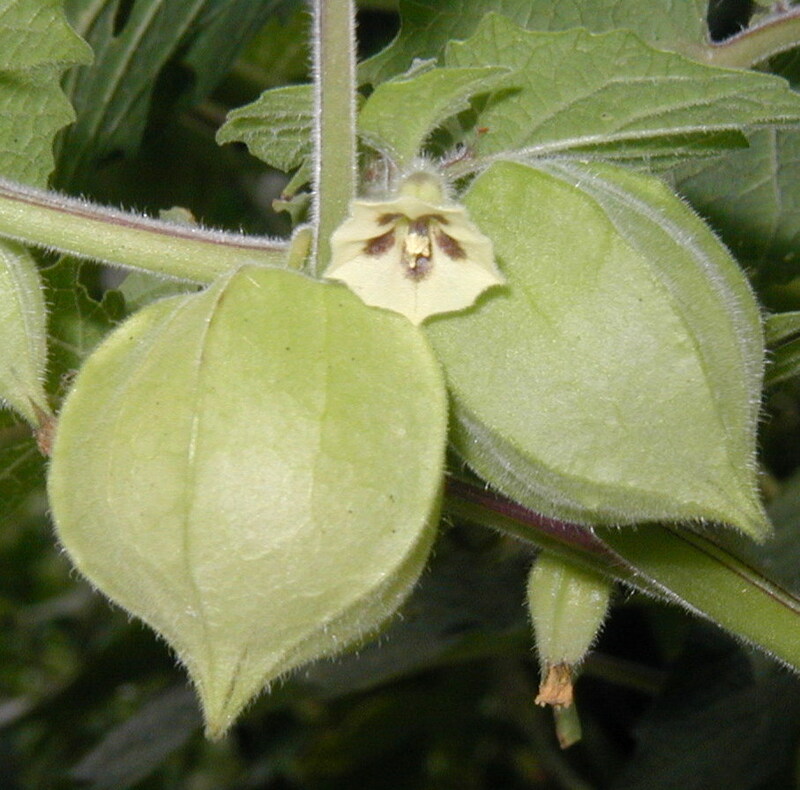 Check out this link — buy ground cherry seeds. The little husk tomatoes will have no problem growing in New Jersey, so good luck! Discovered them at a farmers market last year in Milford, Ma… saved a few, dried over the winter and I am planing the seeds today! Will keep you posted on the growth of these wonderful sweet treats! Ours haven’t started volunteering yet, too chilly for them here in Central PA.
Would love to hear how they grow in your garden. Keep us posted! I came to this thread because I wanted to know how to tell when my husk tomatoes would be ripe because I’ve never grown them before. I was surprised to read that you need more than one plant because they don’t self fertilize; I have only one plant and it has several fruits on it. Maybe I just got lucky. Please let us know if your fruits ripen and how you like them! Go for yellow! Esther I have been growing them for years . I actually wait for them to drop off the plant. I pick them up off the ground. And no they do not rot by being on the ground. The wrapper protects them. Shake the plant once and a while to get the loose ones to drop. I just picked up two an hour ago – first of the year. Yes! It’s the only fruit that I know of when if you pick it up and if it’s not ripe you can toss it back on the ground to get it later. Chris, they’re delicious aren’t they? Yum! If there are any left in the bunch you bought, you could always take a couple and dry the fruits yourself and then save the seeds for next year. Else, if you’ve eaten them all, we do have packets of seeds for sale here: Ground Cherry Seeds for Sale! I had never seen these before but decided to try one when I bought several heirloom tomato plants at the local library plant sale last May. I planted it in my organic raised beds and treated it like the other tomatoes. Early on it had beetles (I do not spray), but now it is huge and lush and must have a hundred fruits! I was delighted by the taste. The rest of my tomatoes are very stressed by our extemely hot humid summer and serious lack of rain. We live in southeast Connecticut. Thanks for the great info. I look forward to growing these again! The little husk covered fruits are kind of fun and very sweet too! Ours volunteered down the lane, so I suppose we’ll have them around for years to come. I do wonder what other critters out there like to eat them besides us! I just ate a few of these from an unmarked box and had no idea what I was eating. Now I do! In what hardiness zones can husk-tomatoes be grown? From other comments, sounds like they can be grown in the New Jersey-Connecticut-Massachusetts area, but can they be grown elsewhere? Thanks. 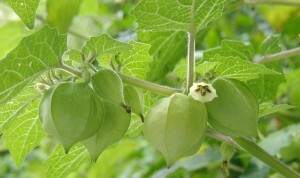 It seems like ground cherries could be grown in most of the USA. They’re native to the Eastern half of the country, right down to Florida and the column of states to the west of the Mississippi River, including Texas and Nebraska, plus a few western states. They’re not native to the prairie states: USDA Plants Database. That includes a whole lot of growing zones, so yeah, they sure can be grown elsewhere! Enjoy! I can not find the answer to my question any where so I am hoping you can help me. Will ground cherry tomatoes ripen without the husk? I have a lot on the ground and I started taking the husks off and a lot were still green. This is my first year growing them. I’ve only ever left the paper husks on them, so I’m not sure they’ll last without the husk. I’m sure the husk helps to protect them from pests and hide them too. Did you try to put some on your kitchen counter for a week to see if they would ripen anyway? Let us know what you find out! Natalie Why would you remove the husks? These are natural structures to protect the fruit. Look at commercial tomatillos, they are always shipped and sold in the husk. Tomatillos are closely related to these.